Planning an event? Want the sophistication of a club or a lounge? Then, it's time to turn to the party design experts at Track Seven Events. We can transform any space so that it feels like a club or lounge. A club/lounge theme works for a huge range of events. It can create a beautiful backdrop for a wedding, an adult feel for a bar or bat mitzvah, and a relaxed atmosphere for a corporate holiday party. For our clients that don't want a themed event such as a baseball night, a gambling casino, a Vegas theme, or one of our many other party design themes, this is a great alternative. To create the feel of a club or lounge, our party design experts use a range of techniques. That involves choosing just the right event lighting to create ambiance. We don't just put up a few lights. Just like a real lounge or club, we mix overhead lights, stage lights, small table lights, and backlit props to amplify the feeling that you are at a club or in a swanky lounge. There isn't just one type of club or lounge, and we work with you to create the exact ambiance you're craving for your event. Want a sultry nightclub? Want an upbeat dance feel? Prefer a 70's disco club? Or a lounge with cozy booths and bottle service? We can do all that and more with our party design team. Our goal is to balance your wants with your budget and create a night that will truly impress your guests. Of course, the perfect party involves more than just lights. It also requires props. Creating the feel of a club or lounge requires the right event decor. You may want dining tables, lounge couches and low slung tables, or something completely different. The event also requires the right stage and compelling wall decor. In fact, we believe in a floor to ceiling approach, and party design can include everything from ceiling chandeliers to floor rugs. We want your guests to feel like they are spending time at a hot club or a relaxing lounge from the moment they step in the door until the moment they leave the event. Ready to start planning your next event?  Call us at Track Seven Events today. We love party design and we look forward to working with you.